One of the most influential actors of our time has passed on. 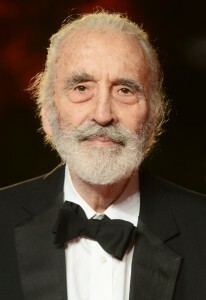 Sir Ch ristopher Lee, who was known for doing early horror films like Dracula, sci fi and fantasy films like Star Wars (Count Dooku) and Lord of the Rings (Saruman), has past away due to respiratory problems. At 93, Sir Lee had an illustrious career of being the villain in memorable moments. May he rest in peace.